Did you see how light it was this evening? Can you smell Spring in the air? The breeze feels warmer as I listen to the birds sweetly sing. Spring has sprung and bombards us with new and often welcome sensations, but only if we pay attention to them. The first evening after daylight savings time, I walked outside after a meeting and was pleasantly surprised the sun still shining. I was so used to the habit of seeing darkness in early evening that the additional sunlight was a welcome sight. 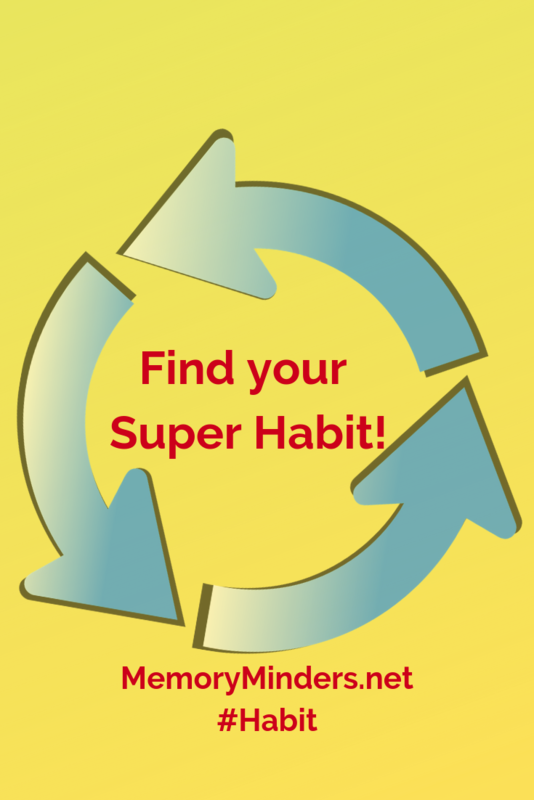 Habits can be good or not so good. As we wrap up our series on lifestyle habits impacting our wellness, let’s not miss literally smelling the roses! 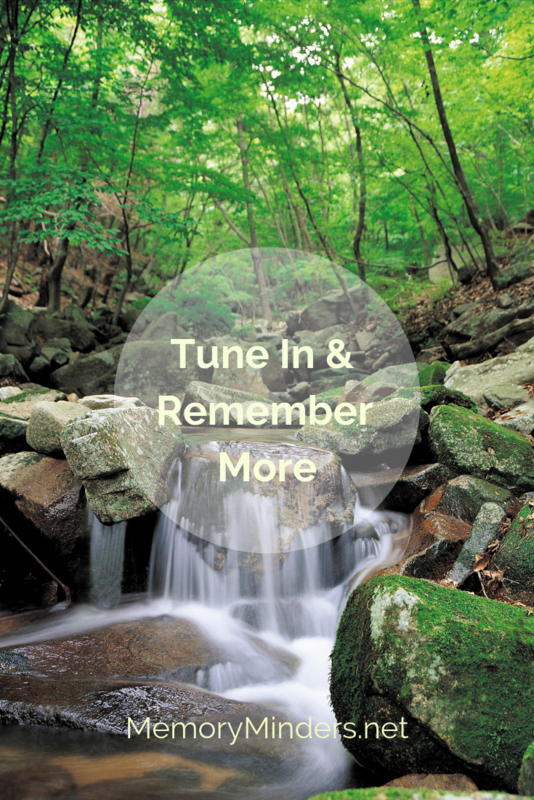 Tune in to Remember More! We all do it. Hit the snooze button at least once instead of rising with our alarm. It’s a mechanism many of us use to grab just a few more moments of sleep. While we may drift off for a few seconds, more often we lie in a semi-conscious fog, simply not wanting to get up. Soon, ten, twenty, even sixty minutes are snooze buttoned away. Enough! Don’t hit the snooze button-let’s get up, address our sleep issues and enjoy more memorable moments. If you had goal or resolution to eat healthier, maybe even shed a few pounds this winter you’re not alone. But as January moves to February, opportunities bombard us to indulge in not-so-great for us food. Super Bowl parties and Valentine’s Day are just a few examples. Simultaneously, our willpower may be weakening, and we end up caving in to food temptations. 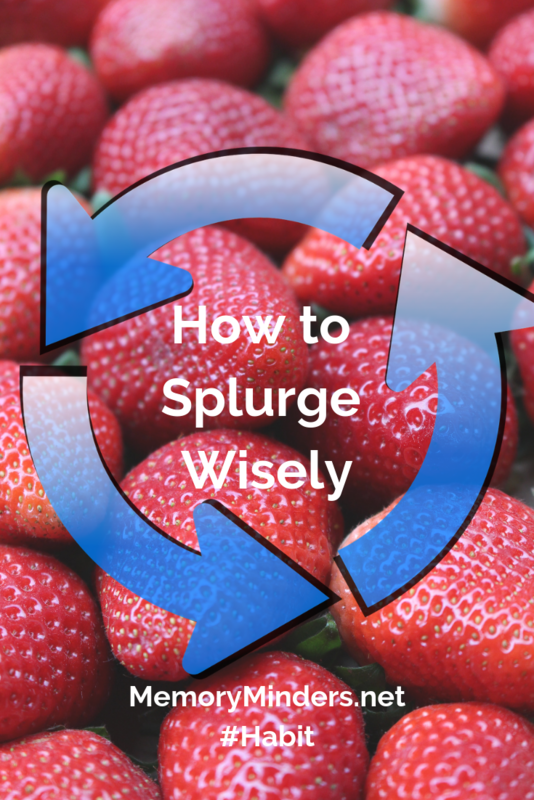 But I’m here to remind you-there are ways to splurge wisely. Did you watch the Super Bowl? I am always impressed with the athleticism of some of the players. Their agility, strength, and speed inspire. But it doesn’t just happen. Years of practice, repetition and habits lead to the athleticism culminating in Super Bowl moments. Becoming more physically fit is a priority goal for me this year and maybe for you too. The best method for us is also to create a habit. If you know me, you know I love discussing habits! Various lifestyle habits will be on tap here for the next few weeks and exercise is a great place to begin. As the calendar speeds toward the end of January, how are those goals and resolutions going? After a few weeks of attempting new routines, habits, or changes to our lifestyle, often we’re tempted to ease back or even give up. My encouragement is don’t! Let’s not look back on our lives remembering what we DIDN’T do. I believe most of us would prefer to recall the good, adventurous, and amazing life moments of pursuing our goals. 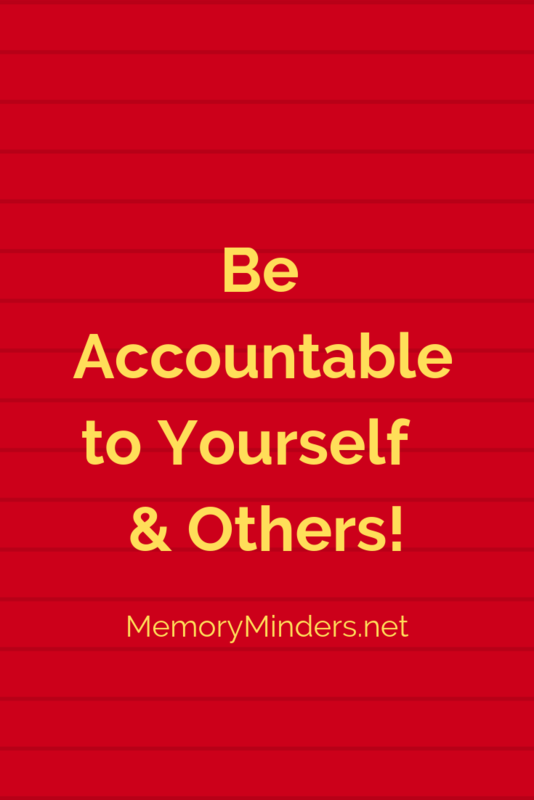 To wrap up this month of exploring goals and memories, let’s not neglect something crucial to helping us achieve them-accountability. Accountability means different things to different people. For some, it will be sharing goals with others who can help us stay on track. To others, it means creating a physical or digital list to check things off and see visual progress. My suggestion is do both. I’m a visual person and love a good checklist or spreadsheet. I’m currently learning new ways to help stay organized with all my goals and love it! However, I’m the only one who really sees my progress. If I don’t follow through on something, no one may know. But in the real world, if I miss a deadline for a work or family project typically it impacts others and real-world consequences ensue. For this reason, I usually don’t miss doing those most important things for and with others. But what about those other goals-the ones we created a few weeks back to propel us toward our dreams? They can be put on the back burner to simmer and miss getting attention if we don’t share them with others. Without consequences, there may not be enough motivation to help us move ahead and ultimately achieve them. While a list (and multiple charts etc.) regarding my goals and tasks is helpful, it’s also important to share them. It’s also vital to share them with the right people. Your boss may not care about your goal to declutter your home closets, but your family will. Alternatively, your boss or trusted coworker may be the perfect person to hear about your goal of completing work projects ahead of schedule. Let’s look back on our example goal of having a better memory, specifically for names of new people we meet. With whom can we share this goal? Family and friends who are with us consistently would be a great option. They will encourage us to keep that notebook with us, write down the names and/or even help review them with us later in the day. Having accountability provides the extra incentive to remember the name. Think of how proud you’ll both be when you greet your new neighbor BY NAME! Additionally, helping others to be accountable is beneficial too. When we encourage others, we often become inspired to change and stay the course for ourselves. Goals and resolutions help us achieve the overall vision for our lives. First, they need to be SMART. Then a realistic plan to achieve and accountability to help us stay the course are needed. Putting all of these in place will lead us toward more memorable moments to look back upon one day. Life is short and not guaranteed. Let’s make the most of our moments by having SMART goals with a plan and accountability to help us achieve them. To that end, I’d like you to help me be accountable. I’m evaluating our services at MemoryMinders and would love your input. Whatever your interest is in memory wellness, I’d like to provide services to assist in making more memorable moments. If you could take a few moments to answer three quick questions, it will help me, help you. Thanks!